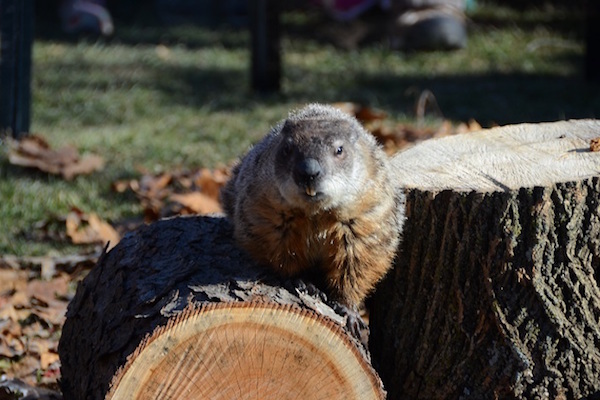 On February 2 at Drumlin Farm, the official groundhog of the Commonwealth of Massachusetts, Ms. G, looks for her shadow. This year, Ms. G saw her shadow, which, according to the folklore, means we’re in for 6 more weeks of winter. But any skepticism you have about her methodology is justified. It turns out groundhogs aren’t any better than coin flips at predicting weather. If Ms. G looked at winter temperature trends over the last 30 years, she might want to reconsider her forecast. If we define the onset of spring by the “first leaf” date of a number of different plants, spring has been arriving earlier and earlier across the United States, and more than 5 days earlier across most of Massachusetts. First leaf dates are one indicator of many. Late winter and spring temperatures are rising. Many birds are migrating sooner, and some mammals are shedding their winter coats earlier. Long-time gardeners in Massachusetts consistently tell stories of being able to grow things they once couldn’t. All these changes could disrupt the ecological balance that has been in place for hundreds or thousands of years. We can help alleviate some of the stresses plants, wildlife, and pollinators will face due to changes in climate by protecting natural spaces in our own communities, and by planting native, flowering plants in our gardens. For what it’s worth, the expert “groundhogs” at the National Weather Service’s Climate Prediction Center are projecting a slightly warmer and potentially wetter February-March-April than normal. We’ll have to see which forecast holds true. This entry was posted in Climate on February 2, 2018 by Daniel Brown. It was snowing and heavily overcast. How did she see any shadow? By the time Ms G came out, the snow had stopped and the sun had started to come out. Channel 4 reported this morning that she did NOT see her shadow. Which is it? As usual, Drumlin screws up again.